Busting these myths will help any organization to set a firm path to success in grant development. Myth #1 – Grants are the easiest way to secure funding. Grant procurement, grant development, grant writing, by whatever name it is called, is no easier than any other development activity in the philanthropy sector. 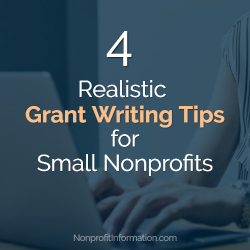 Grants require the same strategic processes that are applied to all fundraising activities: Strategy, planning, capital investment, relationships, good products, attention to details and excellent writing ability. No one aspect is more important than the other; all play a tremendously important role in securing viable and sustainable funding from federal, corporate, public and private grantors. Not only do grants require multiple processes, players, and priorities, but they also need time. Successful grant development is not an overnight activity. Nor can it be effectively done in a few weeks. Developing a grant strategy (more on this later) and a calendar of grantable opportunities will help to raise your effectiveness level and ensure that you aren’t making grant development any harder than it already is. Myth #2 – It’s a numbers game. Efficiency is gained in development work by ensuring that there is a definite game plan, defined outcomes, qualified prospects, and measurable activities toward a goal. Organizations that do not adopt this method of fund development often find themselves losing traction in unearned revenue, expending a lot of resources for little return and performing the same activities over and over and over again with the same poor outcomes. For grants to be effective and efficient, nonprofits must resist seeing their grant programs as the lottery – send out 100 grant requests and you’re sure to land one or two. Instead, focus on quality and content, applications that are clear, concrete, well supported with measured outcomes and documentation. Build your program first before your build your grant. Most grants that are awarded are well-illustrated representations of existing or envisioned substantial programs and services. Myth #3 – Grants can fill our funding gap. Too often, nonprofits forget that grants are built on the agreement with the grantor that the money received will be spent on very specific, tangible, and measurable activities, resources, or products. Grant funding is direct funding toward expenses already allocated in your budget or added to your budget by virtue of the newly granted program. Therefore, grants most often are seen as ‘pass through’ funding – the grant revenue hits your account and is expended by established allocated liabilities for the program the grant is supporting. Few grants offer any wiggle room for overhead, most certainly not grants in which overhead funding was not specifically requested. There are expensive penalties for not conforming to the grant proposal funding allocation, including losing the opportunity to receive any future funds from that grantor. 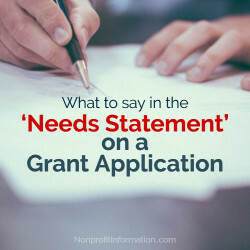 Most commonly, grantors reserve the right to request funding that is left unspent or spent outside of the grant request to be returned by the nonprofit organization. Things become even more complicated with federal grant funding, with whole manuals devoted to grantee requests, expenditures and appropriation of funding. It is best to reserve grant funding for those programs already established and needing investment in your organization, or for new program development. Myth #4 – Grant writers are like baseball pitchers – they have ERA stats. 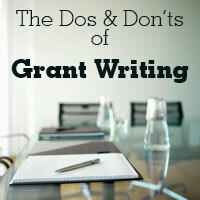 The reality is, that while excellent writing skills are mandatory and often a distinguishing factor in grant-making decisions, grants are not won or lost by the grant writer. Keeping with the baseball analogy, games are won through teamwork – good pitching is important, as are fielding, hitting, and coaching. Product. Nothing can make up for lousy programs and services. What might make them lousy? Programs, especially unestablished programs, whose goals and expectations are too high level and untested; new programs which are too conceptual without relevant data to support the premise of the effort; existing programs that show no outcomes or measurements of success; poorly performing programs and programs with poor participation rates; and programs that expend too many resources for very little return.Programs and grant development need to work synergistically to ensure that the development of the products and services in the programs, the investment of funding, the expenditures, and the measurable outcomes are all in line with granting source requests and expectations. Avoid the ‘if we build it, they will fund it’ syndrome and work as a team to create substantive, promising, quantifiable products. Relationships. The key performance indicator for every high performing development office I’ve experienced is Relationship Building. This includes grant development efforts. Building a relationship with the grantor, well in advance of sending off the email with the grant attached, is a critical function directly correlated to your expected funding success. Grant managers and grant committees are people. They have a job to do in divesting profits to the grantees that meet their guidelines, but it’s not a transactional job. It’s translational. Stop thinking of grants as a commodity. A grant submission should be an authentic step in the ongoing continuum of relationships with the granting agency whether it be federal, state public, private or corporate grantors.I once had a grant manager of a large international manufacturing corporation say to me “If I only knew my grantees better, I’m certain I’d be able to invest with them more wisely.” If building a relationship can get you more of an investment, in areas more meaningful to your programming, why would anyone skip that step? High performing grant development does not just happen; it is strategically aligned with the organization’s vision, mission and its purposeful development of actions and tactics in reaching defined goals. To develop and deliver grant requests outside of the strategy, or worse as a knee-jerk reaction to weak unearned revenue numbers for the year, is a recipe for defeat.Strategic grant development begins with a review of the revenue projections for individual programs and the overall organization budget. It includes an audit of past grants awarded and denied, as well as a review of all relationships established between the grantor and the organizations representatives – CEO, board, staff, and volunteers. Finally, it defines specific grant opportunities for selected programs, costs to secure grants needed and a forecast of when cash awards from submitted grants might be received. Myth #5 – We can rely on our grants already awarded to be awarded again every year. Grants are a less reliable form of unearned revenue development than say, annual fund, major gifts, or events. Where with each of those three revenue development functions, experienced development professionals have a latitude of influence over a prospective donors decisions, that is not so with grants. Grant selection and awards follow specific guidelines that are established by a grant committee or the board of the granting agency. It’s difficult to influence an entire organization to change their minds or to see the value in your program. Therefore, your sphere of influence in grants is reduced, making it a higher risk approach. Also, take into account the changing nature of granting agency expectations and needs. We once had a national organization call us in a panic in June, because they had just received word that the federal grant program that supplied them with 80 percent of their annual funding was reducing their grant awards for the next round by 50 percent. This national organization needed to make up for a sudden $1 million revenue loss in six months. That is not to say that couldn’t happen with an individual donor as well, but the spread of the risk among individual donors and event revenue makes it a more stable base of funding than grants. 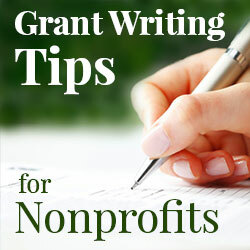 Grants are an important part of a nonprofit’s unearned revenue generating mix. Grants provide necessary funding to established and emerging programs, create visibility and network opportunities for additional funding and partnerships and validate the effectiveness of an organization’s mission. 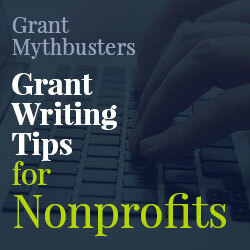 Placing grants in proper perspective for the nonprofits funding resource allocation and avoiding myth feeding actions, will create a stronger and more successful grant development program for all organizations.